Home / Editor's Choice, Entertainment News, Videos / The power of a Toyota Hilux! This is a real machine, Watch how it performs (VIDEO). The power of a Toyota Hilux! This is a real machine, Watch how it performs (VIDEO). 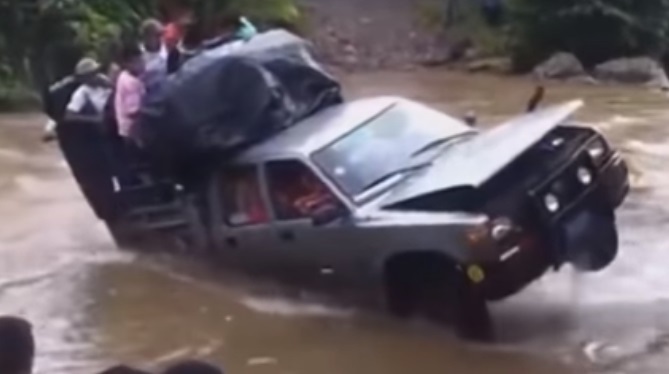 Tuesday, September 11, 2018 - This video shows you the power of a Toyota Hilux on the road. This is not just a car, it’s a real machine that can never disappoint in any weather condition. Check out this video and you will appreciate the power of this great machine. The Hilux is the ultimate driving vehicle, ever.